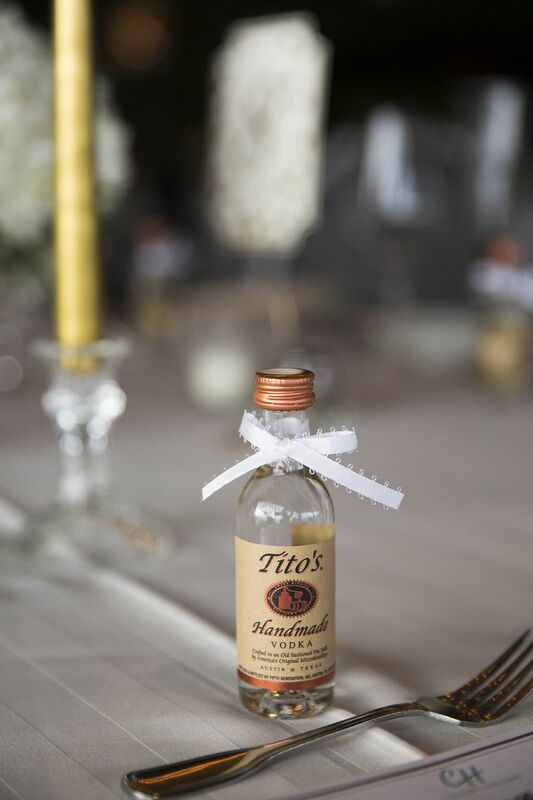 Every Austin wedding needs a few key things: great food, fun entertainment, and some Tito's Vodka for good measure. 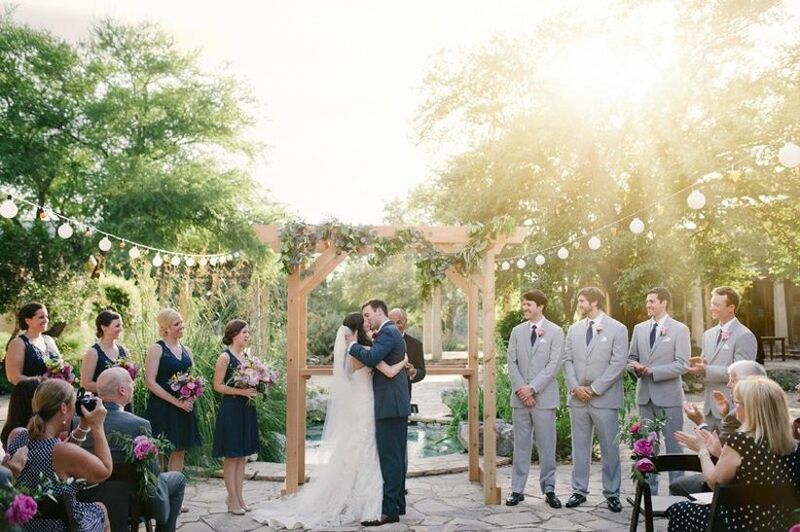 Check out these Austin wedding ideas to help you plan the perfect day. 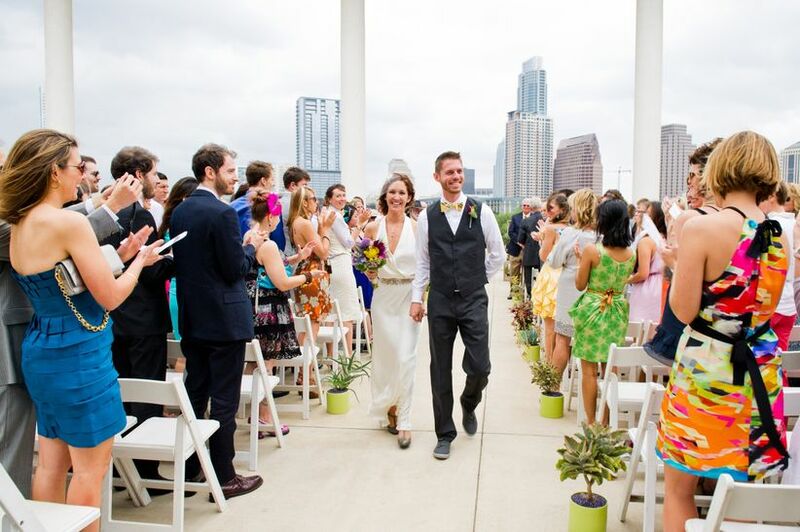 Show off your ATX pride with these Austin wedding ideas. The city's quirky-yet-cool style is what makes it so loved by residents and visitors alike. 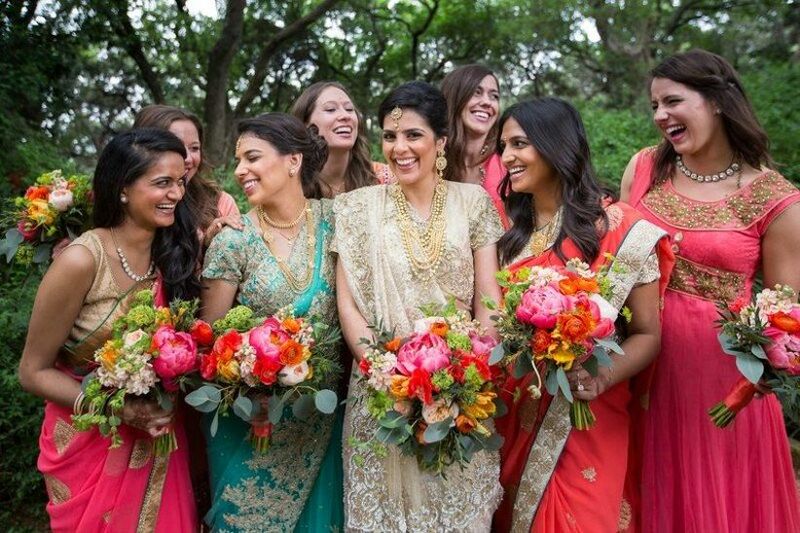 Whether you’re a born-and-bred native or an honorary Austin-ite, you can look to Austin's vibrant culture and lifestyle for ways to turn your wedding into not just the best day ever, but the best party ever! Host the ultimate ATX bash with these eight Austin wedding ideas. If you love wildflowers, this botanic center located 10 miles from downtown Austin is convenient and beautiful. The Lady Bird Johnson Wildflower Center can host your event for up to 250 people, with multiple spaces for ceremonies and receptions. Across 284 acres of land, this venue has multiple gardens, an arboretum, a courtyard, and two miles of trails. Eco-friendly couples will love that rental fees go toward helping the venue’s mission of increasing sustainable use and conservation of native plants in the Austin area. This breathtaking venue seems like something you would find along the coast of Italy’s picturesque Lake Como, but in reality, it’s on Lake Travis, just 30 minutes northwest of Austin. A stone terrace above the lake would make the perfect spot for an outdoor ceremony, and the venue’s gorgeous waterfall is a must-see. 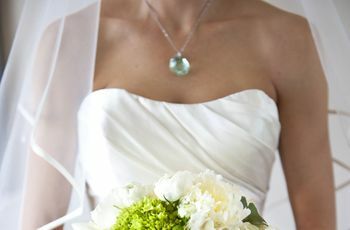 Villa Del Lago can host weddings for up to 250 guests. European-style designs are popular when it comes to Austin venues. Le San Michele is a hidden gem—but not for long! This private estate has 12 beautiful acres of space, including a main house, formal gardens, stone fountains, lily pond, limestone terrace (it makes a great dance floor! ), sunset views, and decorative iron structures and twinkle lighting throughout the property. Cypress and juniper trees around the venue will have you and your guests feeling like you’ve been whisked away to the south of France. Treat your guests to Austin-themed welcome bags filled with local goodies, and don’t forget bottles of Topo Chico! This go-to refreshment is so much more exciting than your typical bottle of water, and it’s a great way to expose your out-of-town guests to a bit of Austin flavor. 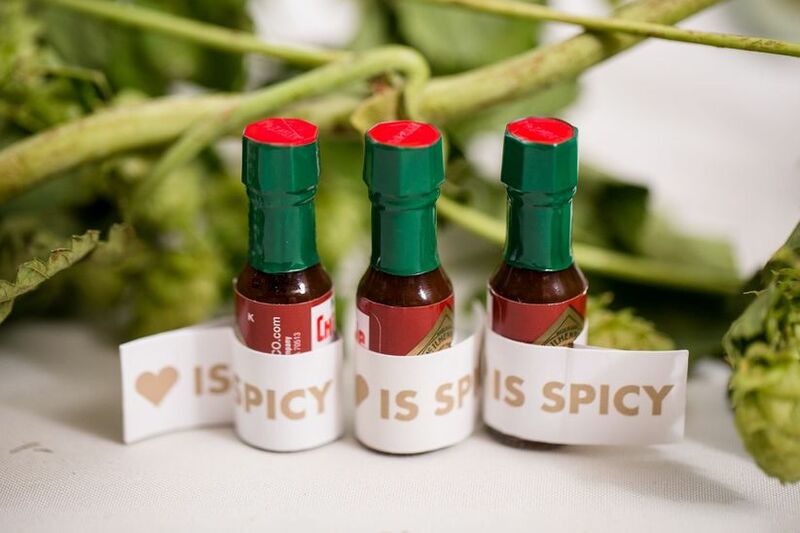 Throw in miniature bottles of Tito’s Vodka so people can mix their own in-room cocktails. From the Instagram-famous street murals to the towering capitol building, Austin is full of unique photo backdrops. Stop by one or two of these recognizable spots on the big day for a few priceless photos. 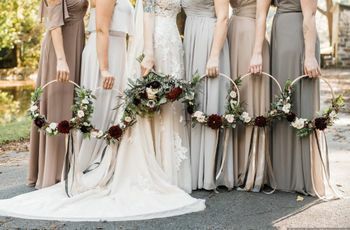 Sure, they’re touristy, but if you’re in your wedding attire, you might be able to skip to the front of the line if there’s a crowd waiting to take pictures (or at least we’d hope so!). 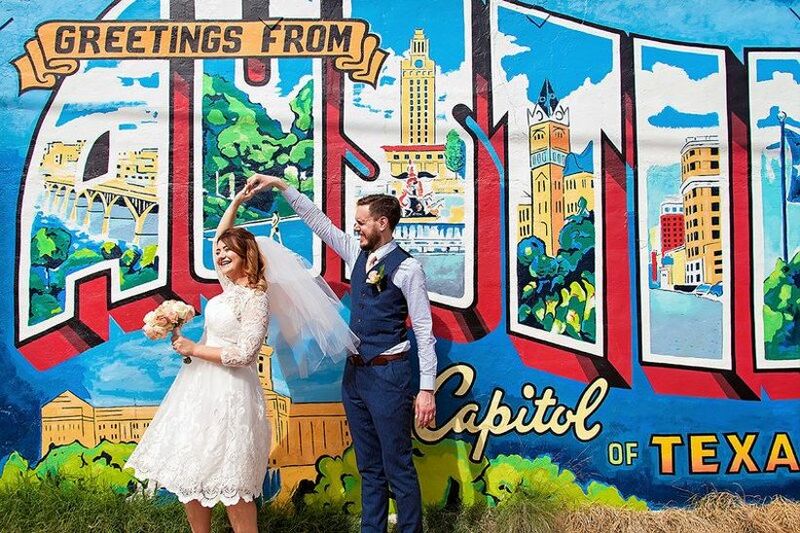 Check out the “Greetings from Austin” mural on South 1st Street near Torchy’s Tacos, or for a cute wedding day snapshot, the “I Love You So Much” mural at Jo’s on South Congress Avenue. 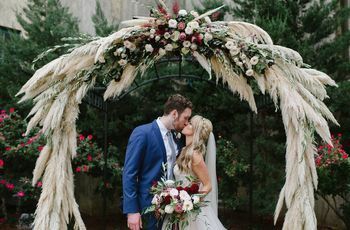 You can’t go wrong with pastels and neutrals, but one thing we love the most about Austin weddings is that couples in ATX aren’t afraid to be bold and embrace a bit of color. Bright pinks, purples and oranges (Longhorn orange, anyone?) are a popular choice, but blues, greens and purples look equally lovely if cool-toned shades are more your speed. 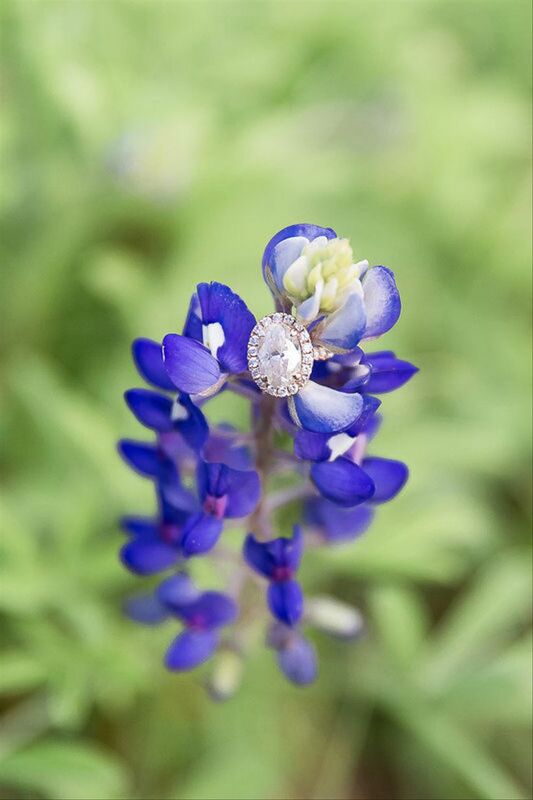 Speaking of color, another one of our favorite Austin wedding ideas is to use bluebonnets (the Texas state flower) in your wedding flower arrangements. These cheerful blooms pop up all over Texas each spring, blanketing the countryside in a sea of blue. Pair them with other wildflowers for a rustic look, or white flowers (anemones, roses, hydrangeas, peonies) so the blue really stands out. If you can’t use them in your arrangements, consider giving out packets of bluebonnet seeds as wedding favors. 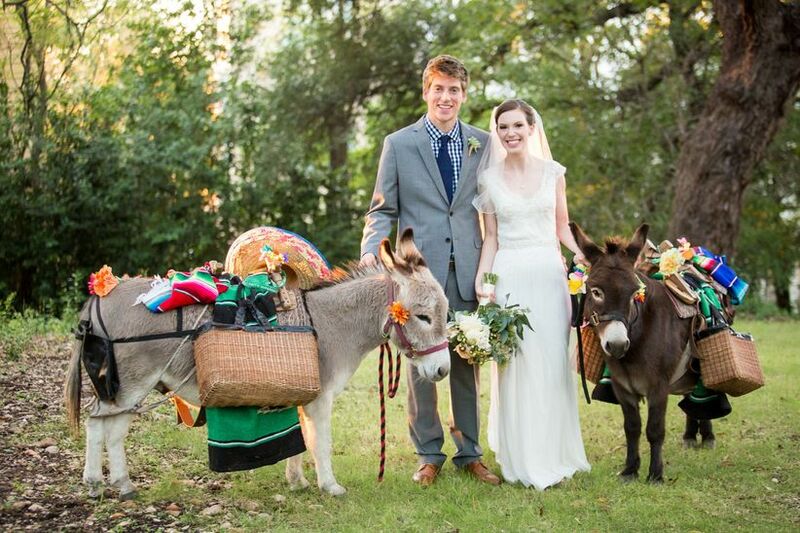 Another Austin wedding trend that has emerged over the last few years is beer burros. 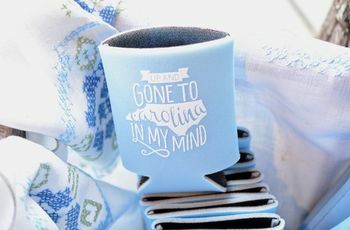 These sweet creatures are sure to be a hit with your guests, and they make an adorable addition to your wedding portraits! 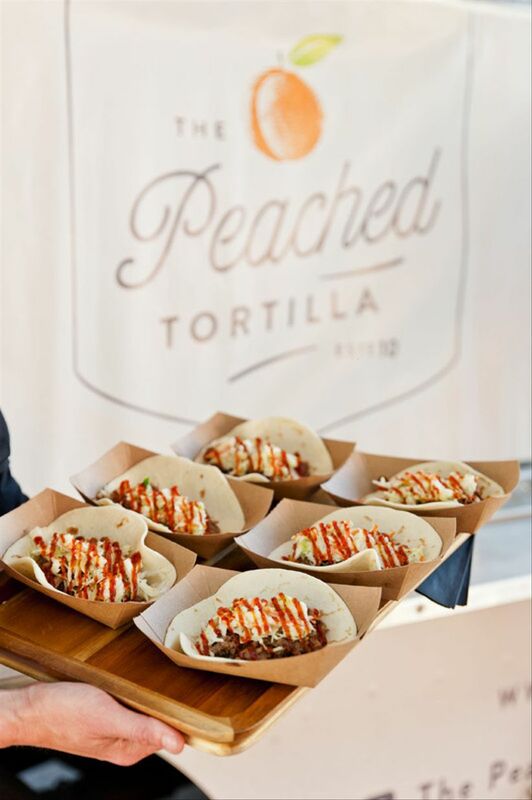 Austin is a foodie's paradise, and that makes it a perfect city to get creative with your wedding menu. First and foremost, you know it’s not Texas without BBQ. Treat your guests to a traditional Texas BBQ with a Southern style menu — pulled pork, brisket, slaw, BBQ chicken — or ask your Austin wedding caterer to create a few options with subtle BBQ influences if you want a more formal meal. If Mexican food is more your style, don’t be shy about stepping outside the box and serving tacos or having a do-it-yourself fajita bar. Want to be totally on trend with your Austin wedding ideas? 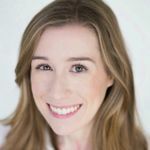 Hire an Austin-based food truck to make an appearance for cocktail hour or a late-night snack! In our book, giving food as wedding favors is always a win. Send your guests home with your fave Austin-made tortilla chips and salsa or hot sauce for a treat they’ll definitely enjoy.